The hard work and effort of the Cole Harbour Parks and Trails Association (CHPTA) was rewarded with the official opening of the trail system. 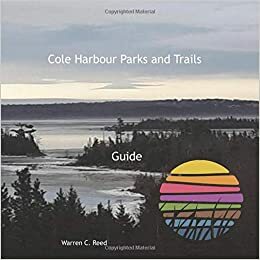 It lies within the Cole Harbour Heritage Park and is part of the larger Cole Harbour - Lawrencetown Coastal Heritage Park System. The flags were flying and the sun was shining. The Dartmouth Volksmarch conducted two guided walks before the ceremonies; one ten kilometer walk and a five kilometer walk. Councillor Harry McInroy, Mayor Peter Kelly, MLA Mark Parent and MP Michael Savage all gave short and much appreciated speeches. A reception followed in the big red barn with hot dogs and soft drinks; all in all a grand day, celebrating what a small dedicated group of volunteers can accomplish. The Honourable Mike Savage, MP represented the Federal Government at the opening ceremonies. Mike has been a good friend to CHPTA over the years and commended the work of the many volunteers in developing these trails and parklands. The partnership between the Association and the province is an excellent example of how to achieve joint objectives - provincial park mandates and community based interests. Minister of Labour Mark Parent attended the opening representing the Province. Mayor Peter Kelly managed to fit us into his very busy schedule, averting transit strikes, which was greatly appreciated. His presence highlighted the support that CHPTA has found with the municipality. The Mayor enjoyed interacting with everyone at the barn, serving up many hotdogs and refreshments supplied by the Dartmouth Volksmarch Group. Councillor Harry McInroy, a great supporter of all the CHPTA work, was in attendance, ... and proud to be there. "I think our Coastal Heritage Park is absolutely awesome; a real jewel within the Halifax region." said McInroy, who continued "It is, in fact, a superior piece of public parkland real estate .....As such, it will continue to draw residents from throughout the Metro area and beyond....It is easy to see that our Cole Harbour volunteers have dedicated so much time and effort over the years to bring this very significant property and project to where it is today. As the Councillor for Cole Harbour, I can tell you that this project and those associated with it have been the 'flagship' of community development initiatives during my 26 year tenure.I remain committed to helping with this initiative at every turn." Jim Tudor Vice Chair was the master of ceremonies, Lionel Conrod Treasurer was the chef du jour. Board members decorated the newly renovated barn where refreshments were served. Many people took advantage of the 5km and 10km hikes on this bright, sunny day. This is truly a wonderful day, celebrating the preservation of a very special piece of Nova Scotia. Standing on the drumlin and looking eastward across the salt marsh, one appreciates the natural beauty of our province. The rhythms of the tides and seasons; the echoes of the lives of first peoples, fishermen and farmers; the smell of the balsam and the mud flats, the hovering Osprey – all this and more will be here for our children’s children. Cole Harbour Heritage Park is a testament to what a small and dedicated group of volunteers can accomplish. This is your creation, built by your neighbours and community, using your tax dollars and generous gifts. Stewardship of this park is a community responsibility that we can all work toward, to pass along to coming generations. Our corporate sponsors, contractors, and suppliers, who work for less and have donated so much, clearly understand that strong communities are good for business. Finally a big thank you to our Board of Directors who have defied the norm for volunteer groups and persevered for almost ten years now. I would offer a quote from Henry Ford which I first saw on tee shirts worn by our friends from Black & McDonald who were working in our Park this June. We hope everyone enjoys the park and trails for many generations to come. Thank you for your support.